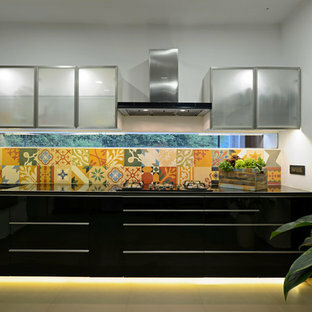 A modular kitchen is a term for built-in or fitted kitchens as a rule in standard sizes. 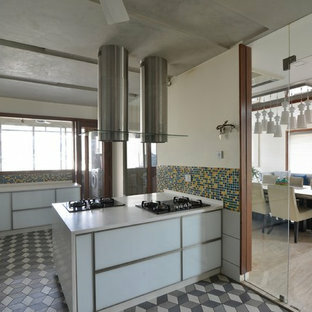 Don't be mistaken, these readymade kitchens can be modified to fit any different measurements. 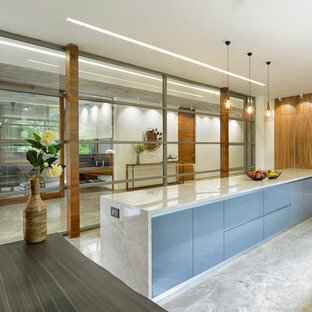 A good modular kitchen interior can be practical, stylish and manageable. 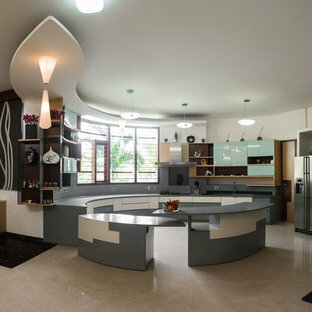 If you are remodeling or want to know more about different modular kitchen designs then keep reading. 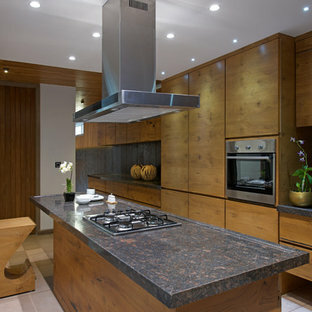 In today's modular kitchen companies are plenty so most homeowners are spoilt for choice. No matter the shape or layout of your kitchen, you can find a variety of options. U and I shaped modular kitchens are the most popular but many existing designs can be customized to fit any layout. These prefabricated designs take into account space and layout. 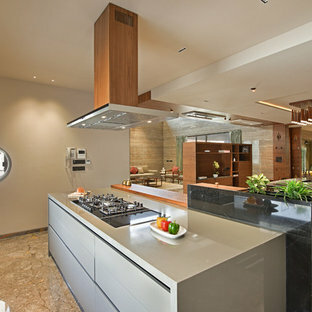 You can choose from a variety of small modular kitchen designs. The modular kitchen for small space cleverly utilizes space and ensure the sleek look and finish remains irrespective of the space available. The best thing about a new modular kitchen is the easy installation. Given, most of them come ready-to-install there is no need for carpentry, dirt, and dust. The best thing is if you are moving out, many modular kitchen types can be disassembled, transported and reassembled as required. Also, modular kitchen accessories and elements are easy to maintain. 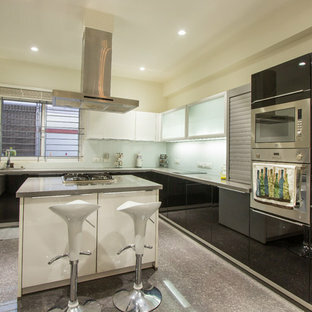 Semi-modular kitchens are available and are gaining popularity in urban homes. While modular kitchens colours, designs an accessories are plenty you can mix and match elements to bring your kitchen to life. A standard module has floor wall cabinets, drawers and built-in appliances and ranges. Remember, you can pick specific modular kitchen cabinets and elements to add to your conventional space. While there are so many advantages to these kitchens, homeowners must factor in cost. 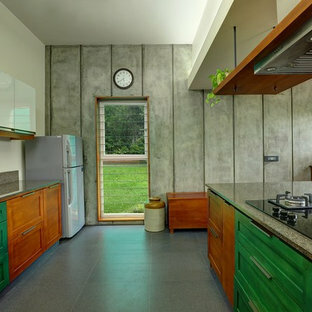 If you go with this option, ensure that your kitchen is not subject rough use. 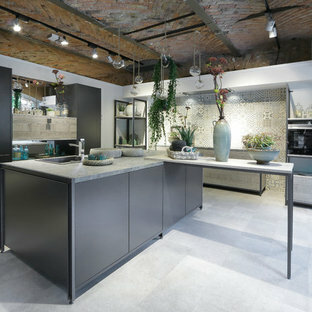 Browse through the best modular kitchen images to find inspiration for your next kitchen project.